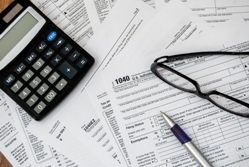 Preparing your own tax return is not as easy as it sounds. The U.S. tax code is so complicated that even filing a relatively simple return can produce questions the average person can’t answer. You can easily overlook credits and deductions that you’re entitled to, costing you money. While a tax software system can help, it will never replace the insight of a certified public accountant. At Bedford Tax Services we deliver accurate, efficient preparation of all types of tax returns including corporate tax filings, multi-state taxes and individual income tax returns. Call Bedford Tax Services now at 732-739-2632 to learn more about our Hazlet, NJ tax preparation services or request a free consultation through our website. We prepare business tax returns for sole proprietors, limited liability companies, partnerships and corporations. Whether your business operates in New Jersey only or has locations in multiple states, we can prepare and file your State and Federal taxes. When you turn to us for tax preparation you’ll have peace of mind knowing that your income tax return reflects all the savings you’re entitled to according to current regulations. We offer quick turnaround on individual tax returns so you can get your money back fast. Not all tax preparers possess the skills and training needed to prepare trust, gift and estate tax returns, but we’re fully qualified to process both Federal and State. We meticulously prepare these types of returns and file them in a timely manner to help you avoid penalties. We prepare Form 990 tax returns for all types of non-profit organizations including churches, charities and foundations.